How Does ASD Affect Mood and Anxiety? Autistic people are often anxious. If you have ever been around an autistic person when they are overloaded, you will know that the overload brings anxiety with it as the autistic person cannot cope with something going on in their environment that they are expected to process. If you are the parent or caregiver of an autistic child, then you may have wondered if your child’s mood and anxiety levels are linked with their Autism Spectrum Disorder. The short answer to this question is yes. However, in this article, we will discuss the longer answer of why your child’s anxiety levels and Autism Spectrum Disorder are linked. One of the features of autism is a difficulty in processing information. Unfortunately, the world today tends to be full of information overload, and things which might not bother a non autistic person will most assuredly cause problems for a person with autism. For example, most people are not bothered by large crowds. However, a sufficient crowd can leave a person with an autism spectrum disorder overwhelmed and anxious. This excessive stress becomes extremely difficult for autistic people to cope with at times. When too many stimuli are thrown at a person with autism at once, especially if the stimuli are new, they may experience what is known as sensory overload. They may go nonverbal, feel overwhelmed, cry and try to get away from the stimuli that are causing the problem. With this sensory overload comes anxiety as they no longer feel as if they are in control of their environment and prolonged stress can actually diminish their ability to cope until the stressors resolve themselves. Meeting social expectations can also lead to anxiety or depression for the the person with autism especially if they are a teenager when mood swings are common in most people. They may feel increased pressure to fit in if they attend a public school or are taught in classes with their non autistic peers. They may try to force themselves to make eye contact which studies have shown can cause a fight or flight response in the autistic brain. They may also hide any special interests that they have, especially if those interests are not ones that are considered age-appropriate for their stage of life. Further, they then may push themselves beyond the point of overwhelm to try to deal with the stress of fitting in in a non autistic world. As if all of that is not enough, these individuals may have methods of self-expression that are not universally understood. For example, an autistic person may bounce or flap their hands when excited. Society takes this as a sign of developmental disorder or deviance and especially if the person with the ASD is a teenager, their peers may shun and ostracize them, leaving them feeling isolated, depressed and anxious. Another necessary component of fitting in successfully in society is the person’s ability to read the facial expressions of others for subtle social cues. People with autism have a lot of problems in this area due to the lack of development in an area of the brain used for processing facial expressions. . They can usually understand the stronger emotions showing on a person’s face, but more subtle emotions are more difficult for them to process. Due to misunderstanding the proper social cues, the person with autism may react inappropriately to the situation, though most people learn to figure out the context in other ways. Misinterpreting the situation can lead to a fear of social interaction or anxiety that they are somehow socializing improperly. The increased anxiety and depression can make them much more reluctant to socialize which then leads into a vicious cycle of wanting to reach out, not knowing how and having more and more anxiety and depression piling on. There are a large number of ways that an Autistic Spectrum Disorder and a person’s mood and anxiety levels can connect. People with autism may have problems fitting in and expressing themselves in ways society deems acceptable. They may also find new situations, crowds and changes to their environment to be overloading and a large cause of anxiety. However, despite these connections, the situation is not hopeless. People with autism can learn valuable coping skills which they can use to fend off the anxiety and depression they may face as well as curbing the problems which caused the anxiety and depression in the first place. With some support and the help of coping mechanisms and possibly therapy, a person with an Autism Spectrum Disorder can lead a happy and fulfilling life. Do Spectrum Children Feel Emotion Like Everyone Else? There are many stereotypes surrounding autism. One of the most insidious is that autistic people do not feel emotions. Many people see the autistic person as overly logical and even slightly robotic, and like the Dustin Hoffman character in the movie Rain Man, these people view them as an impenetrable collection of tics. As any parent with an autistic child will tell you, this stereotype is a fallacy. Children on the autistic spectrum do feel emotions. They feel just as happy, sad, anxious, excited and elated as anyone else. In fact, there is not any external difference between an autistic person’s brain and a non autistic’s brain. However, there are certain emotions that they may have more difficulty with, such as shame, pride, and emotions that are more social in nature. One of the reasons for these difficulties with more subtle emotions is found in an area of the brain used for facial processing. In a non autistic brain, this area is very well developed and entrenched early in life. Studies have shown that in most autistic children this brain region does not seem as well developed. This lack of development in the brains of autistic children results in a seeming lack of motivation to socialize in some people and a difficulty in reading emotions. In addition, the amygdala, a brain area concerned with the processing of emotions is also not as well developed or modulated in an autistic brain. This means that autistic people, as opposed to lacking emotions may instead have difficulty thinking through and processing their own. This difficulty in processing emotions can lead to the autistic child becoming overwhelmed faster and more severely than a non autistic child would, which can cause them to shut down, go nonverbal and have other emotion regulation difficulties at times of stress. The difficulties autistic individuals can have processing their own emotions and reading the emotions of others mean that there are a number of challenges an autistic child must work around. For example, autistic children will overload under stress faster than a nonautistic child will, and they may not be able to communicate what is happening. As a friend or family member of an autistic child, watch for signs that they are becoming overwhelmed. They may cry, cover their faces, go non-verbal or try to back away from the situation. If at all possible, give the child time to process any new information or stimuli that may crop up. 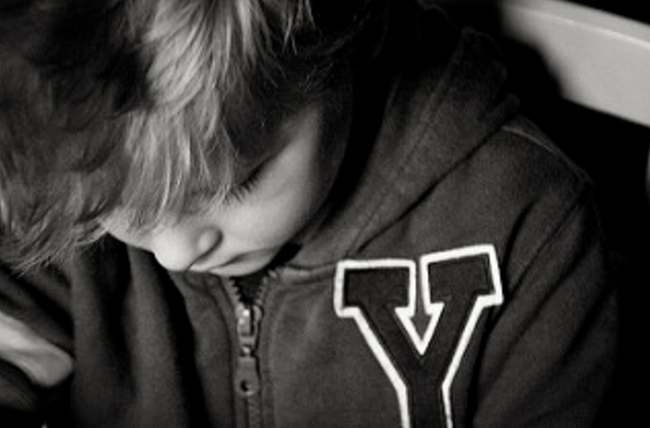 Some autistic children also have difficulties understanding social and emotional cues. They may have trouble accurately reading facial expressions for more subtle emotions and may mistake a scowl of concentration for anger for example. They also may have difficulty telling when you are really angry versus when you are pretending anger as a joke. Be careful to make sure that the autistic child understands what you are trying to communicate. Be sure that you understand their emotions. Ask the child to tell you how they feel if that is appropriate for the child and their situation.. Help them learn feeling words and facial expressions. Even nonverbal children can learn to draw pictures or write words to tell you how they are feeling. Be patient. It may take longer for an autistic child to pick up a concept than a non autistic child and getting frustrated at them for not getting it right away will only make things worse. Autistic children are generally not like the Rain Man stereotype and the fact this myth has remained so prevalent is unfortunate. Autistic children are suffering from people’s belief that they do not have emotions and their unwillingness to engage with them. Autistic children have the same emotions as anyone else. However, emotions such as shame, pride, and embarrassment are harder for them to understand or read in the faces of other people. On top of this, autistic children have a greater difficulty processing their own emotions. This means that it may take them longer to tell you how they are feeling than it would for a non autistic child. Patience is necessary. If it is at all possible, give them time to process emotions. If you are impatient, you run the risk of overloading the child. Overload may lead to meltdowns or the child going nonverbal. This is not a pleasant experience and it will make the child far less likely to want to tell you anything about how they are feeling in the future. If you are patient and make sure to explain clearly what you are asking and what you want to know, as well as helping the autistic child to understand more subtle emotions, you can go a long way in helping them to navigate a non autistic world much more effectively. Have you or someone you know been diagnosed with autism? Are you left confused, afraid and wondering what exactly this condition is? Are you stuck with media stereotypes about an autistic person’s lack of functioning? If so, keep reading. This article will explain what autism is, without invoking any of the stereotypes commonly associated with the condition, stereotypes which are not true for all or even most autistics while giving a plain-English definition of the features and symptoms of the condition. Do not give up hope. A diagnosis of autism is not a tragedy, though it may feel like it at first, and it is not the end. When people talk about autism today, they are generally talking about Autism Spectrum Disorders. According to the DSM-IV, the Autism Spectrum Disorders are a set of five developmental disorders that effect the person’s ability to engage with others. These deficits in social interaction can vary in severity from very mild to extremely severe, and in type as well though all people with autism will have some of these core symptoms. People with autism tend to have trouble with developing or using nonverbal social cues. They do not like to make eye contact, for example, and may find it very overwhelming. Autistic children may also not want to make friends with children of the same age, or have any desire to share interests and achievements. People with autism also have delays in development of speech or never develop it at all. As many as forty per cent of autistic individuals never talk. Some people with autism also deal with echolalia, which is the repetition of a phrase they have previously heard. They will repeat this phrase over and over. Other symptoms of autism can include sensory integration difficulties and problems with processing stimuli, as well as atypical movements and fascination with sensory stimulation. These symptoms can make social contact very overwhelming and draining for them. The mean age of diagnosis for autistic individuals used to be between five and eight years. However, due to more sophisticated methods of diagnosis and the creation of the Autism Diagnostic Observation Schedule by Catherine Lord, Ph.D the age at which autism is diagnosed has been significantly reduced. 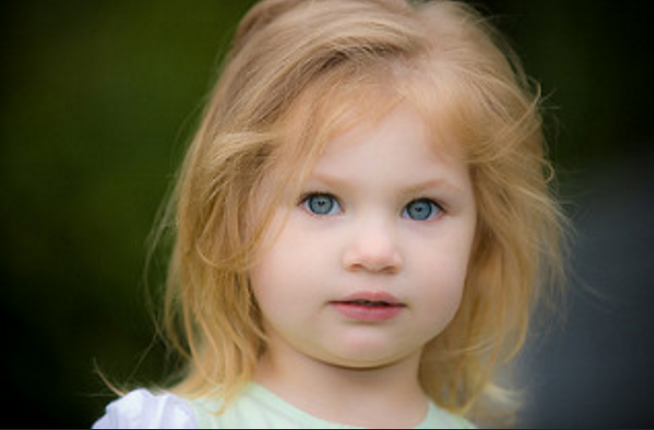 Most children are now diagnosed near their second or third birthday. This earlier diagnosis means that parents can be more aware of what is going on and can then help their children better adjust to their limitations and the expectations of the world around them. This early intervention to help these children can mean that the child gets the early education they need. Over the years, many things have been thought to cause autism, everything from drinking milk to getting your children vaccinated. However, none of these is the real cause, and as of yet no one is sure what the cause actually is. The most prevalent theory seems to posit that autism is a very strongly inherited genetic disorder, probably with several genes being affected. Autism may seem like a nightmare. The person with autism may seem unresponsive and hard to reach. However, with some learning on both your parts, and understanding of the person’s abilities and limitations, this condition does not have to be a nightmare. Are We in an Autism Epidemic? One in every 68 children in America is diagnosed with autism spectrum disorder (ASD), according to data from the U.S. Center for Disease Control. This is a much higher diagnosis rate than about 10-20 years ago. Scientific American cites the rate from 1993 to 2003 as one ASD diagnosis for every 2,500 individuals. That’s a major increase. So are we experience an epidemic of autism? At a glance, it looks like it. An early study investigating the issue linked autism to vaccines. But this study has since been disproven, and ten of the 13 researchers on the project have denounced its findings. Most notably, as vaccine numbers have remained the same, autism diagnoses have continued to rise. Since then, additional studies have indicated that the increase in cases of ASD may be inflated. One such study was performed by the Child Development Center in England. By investigating autism diagnoses over a closed time period in the same area of the country, the researchers found that when the same criteria for diagnosis is used consistently, there is no increase in the rate of diagnosis. Another study by psychologist Paul Shattuck at the University of Wisconsin-Madison observed that as the rate of ASD diagnoses increased, the rates of diagnosis of mental retardation and learning disabilities decreased. A third study from the University of Gothenburg in Sweden found that when the parents of children diagnosed with autism were asked if their children exhibited specific symptoms of autism, the number of children who met the criteria for ASD remained consistent over time. A Danish study had similar findings, concluding that about two-thirds of the increase in ASD diagnoses in Denmark were because of how the disorder is diagnosed. It’s possible that there has been some rise in cases of ASD, but the most up-to-date science indicates much of the apparent epidemic is in fact due to changes in how ASD is diagnosed. The myth that diet can cure ASD may have stemmed from the belief some people hold that autism is linked to certain types of foods—particularly, gluten and casein. These are proteins found in foods such as wheat, barley and oats; and milk, cheese and yogurt, respectively. 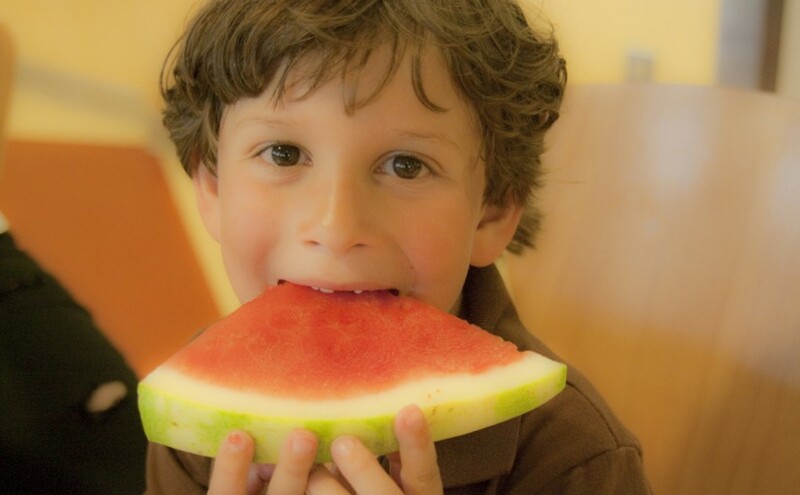 Many parents of autistic children have tried eliminating these foods from the autistic child’s diet completely. Anecdotally, many of these parents report a reduction of symptoms using this method. However, scientific research into the effects of this diet have shown no difference in symptoms between consuming casein or gluten, neither, or both of these substances, when executed in a double-blind experiment. 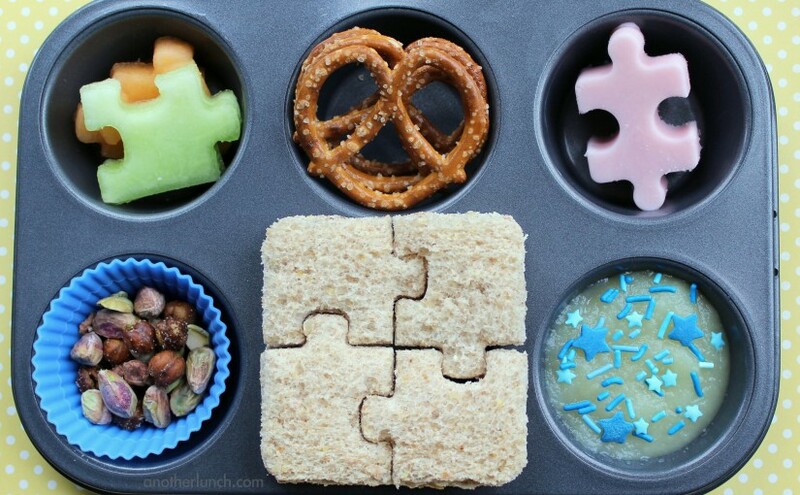 Researches said that it’s possible the diet may help certain subgroups of people with autism, and more research would be necessary to determine whether this was the case. While this elimination diet does not have negative effects, parents of children on a gluten-free, casein-free (GFCF) diet need to be mindful of the nutrients this removes from their child’s diet and be sure to replace them from alternate food sources to support their child’s healthy growth. Is The Big Bang Theory’s starring character Sheldon Cooper on the autism spectrum? Co-creator of the show Bill Prady has side-stepped attempts to label the character. But the question keeps coming up, because a lot of fans of the show see startling commonalities. To say someone is “on the spectrum” refers to Autism Spectrum Disorder—a single disorder with a wide range of symptoms and severity that used to be considered separate disorders including autism and Asperger’s syndrome. The question of whether the quirky and quite particular character of Sheldon is on the spectrum is hotly debated, and has come up in fan panels and media interviews ever since the show’s first season. The show’s co-creators have declined to label Sheldon with this term—Prady says he got his inspiration for Sheldon not from the autism spectrum but from a computer programmer he once worked with. However, that was long before awareness about the spectrum was established. Some argue that it’s entirely possible those co-workers were in fact on the spectrum, but didn’t have the terms to diagnose it. Either way, Sheldon has been held up as a great example of a person on the spectrum thriving in everyday life. How does Sheldon show traits of being on the spectrum? Struggles with communication— Some of Sheldon’s funniest moments come from his literal interpretations of people’s comments, and his inability to interpret sarcasm. People on the autism spectrum often have difficulty understanding expressions of emotion, taking expressions too literally and struggling to read people in conversation. Extreme attachment to rituals—That’s Sheldon’s spot on the couch. When a guest is sad, you offer them a hot beverage. Wednesday is comic shop day. Much like Sheldon, individuals on the spectrum can be extremely rigid in their rituals, and have an extreme distaste for change. Disconnect from others—People on the spectrum often struggle to make emotional connections or to handle demonstrations of physical intimacy … something that becomes a significant hurdle for Sheldon in his friendships and his relationship with Amy. Extreme likes and dislikes—Much like many on the autism spectrum, Sheldon is extremely enthusiastic and loyal to the things that he likes. His dislikes, on other hand, can become a disruption for the entire Big Bang Theory crew. Brutally honest—Another common trait associated with being on the spectrum is brutal honesty. As any of Sheldon’s friends know, he doesn’t parse words when sharing his opinion, so if you don’t want to know, don’t ask—or even let the subject come up. His inability to lie or keep secrets has led to many a quandary on the show. Even if the show wants to avoid putting a label on its character, that Sheldon Cooper demonstrates characteristics that many who are on the spectrum, or have loved ones on the spectrum, can relate to. And that’s a wonderful thing. While people on the spectrum have some unique challenges, they also often share some genuinely positive traits, too—much like Sheldon Cooper, they can be extremely honest, loyal, intelligent, and dependable. Autism and Immunization: Is There a Connection? In the later part of the 1990s, parents suddenly began to fear for the health of their children based on a research paper that claimed to prove a connection between the MMR (measles, mumps, and rubella) vaccination and autism spectrum disorders in children. Since the publication of this paper, the research has been discredited and debunked as a fraud, but parents continue to believe that there is some truth behind the controversial information. If you are a parent yourself, it can be confusing and even scary to try to figure out which side of the fence you stand on. The most important first step toward making any kind of a decision about the well-being of your children is to educate yourself fully on both stances. Despite the fact that most of the big names in paediatric medicine, including the World Health Organization and the CDC, claim that there is no link between autism and vaccinations, the concern is still very prevalent among today’s parents. The media has something to do with this, as many actors and actresses have used their presence in the public eye to speak out against vaccinating children for fear of causing autism spectrum disorders. Even some of the more well-known politicians in the United States have made it very clear that they believe in the strong evidence that supports this theory. The National Institute of Mental Health continues to investigate the possibility of a connection between vaccinations and autism, which seems like a pretty powerful reason to believe that there is still a cause for concern. One of the biggest reasons that parents continue to worry about the connection between autism and immunizations is the steadily rising number of children diagnosed with autism spectrum disorders every year. Since vaccinations became more prevalent in the 1980s and 1990s, children have begun to show signs of autism from a very early age, much more frequently than did children born before this time period. It is a clear fact that more children are diagnosed with autism today, and that most of those children have been given at least one immunization during their lifetimes. Some parents believe that there is a direct correlation between the two, and cite their own experiences, whether positive or negative, as solid proof of that. The study which originally purported to demonstrate the connection between autism and immunizations focused on a sample group of twelve children, all of whom had been given the measles, mumps and rubella vaccination and later been diagnosed with autism spectrum disorders. The research paper published after this experiment showed a correlation between the injections and autism, as well as bowel disorder, and managed to prove a weak link between all three. The resulting syndrome was labelled autistic enterocolitis, and blamed entirely on the administration of the MMR vaccination. The paper gained attention very quickly, and made the powerful claim that three live virus injections administered at the same time, as in the case of the MMR immunization, greatly increased a child’s chances of developing an autism spectrum disorder. The study claimed that the measles injection was the most prominent culprit, as it affects the immune system more strongly than the rubella and mumps viruses do. The medical community eventually had this research paper retracted, but the information still stands, and many parents consider it worthwhile to consider what the study showed, whether or not the world of medicine see it as a valid point of research today. Proponents of the anti-vaccination movement look to court cases to support their side of the argument, and many parents take these instances into consideration as well when deciding what to do about immunizations for their own children. In several different court situations, parents and guardians have been compensated for the onset of autism based on the use of vaccinations. Some parents believe that courts would not award these settlements if there was no truth to back up the anti-vaccination claim. Finally, even some paediatricians have concluded that autism in certain children must have been caused by vaccinations. 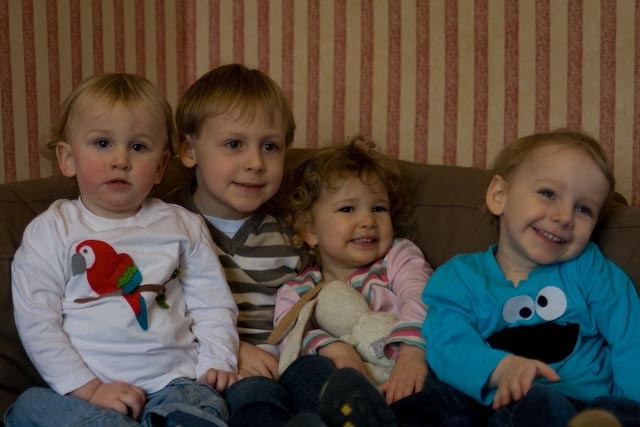 When paediatricians agree with the parents of these children, it is usually too late, and the parents then share their stories in the hopes of bringing the information to others who might be able to make different decisions. While there are plenty of aspects to consider on the anti-vaccination side of the coin, it is important to think about the available information to the contrary. There are many reasons why parents continue to vaccinate their children, in spite of the evidence that supports the connection between immunizations and autism. To begin with, many parents conclude that it is better to vaccinate their kids against possible severe illnesses rather than take a chance that they might come down with something potentially life-threatening. Measles, mumps, and rubella are not always fatal, but sometimes, they can cause complications that lead to childhood death. Parents who vaccinate their children believe it is much better to help save their child’s life than to worry about the possibility of a vaccination causing a mental health disorder. 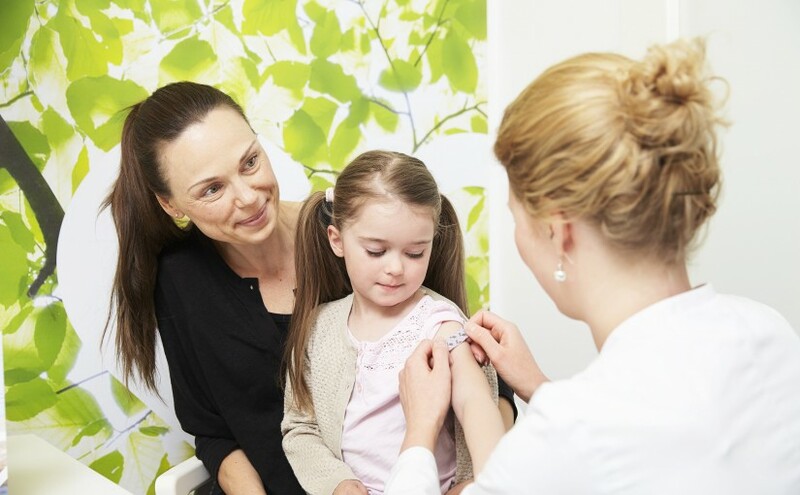 Vaccinations are also necessary in order to protect the people who come into contact with children every day, and parents on the pro-immunization side take this into consideration when choosing to vaccinate their kids. The technical term for this phenomenon is “herd immunity,” which means that enough people have been vaccinated against a disease that, even if a few should fall ill, an outbreak cannot happen. If more and more children are left unvaccinated against diseases like the measles, outbreaks are going to become more common and much more widespread. When a herd immunity is present, it works to protect young children who have not reached the age of vaccination yet, as well as the elderly, immune-compromised, or otherwise ill who cannot receive the immunization themselves. More lives are potentially saved by the lack of these illnesses in the community at large. When children are vaccinated against spreadable diseases, they are helping control these viruses simply by living a healthy life without getting sick. Herd immunity also spreads to future generations, and parents sometimes even take the health of their future grandchildren into consideration when choosing whether or not to vaccinate their children. When a female child who has been vaccinated against disease grows up and becomes a vaccinated mother, she prevents the spread of illness to her child, which can in turn greatly reduce the risk of birth defects. Communities that have been thoroughly vaccinated have managed to almost eradicate some diseases completely, meaning that future generations will never have to worry about catching something that no longer exists, such as smallpox. Parents who choose to vaccinate their children today are paving the way for healthier generations in years to come. Finally, some parents simply consider the cost effectiveness when opting for immunizations. Common immunizations do not cost a lot of money, and are usually covered by health insurance. On the other hand, should a child who has not been vaccinated fall ill with a rare disease such as measles, it could cost much more in medical bills to treat the child and bring him or her back to full health once again. Although it may sound a little bit materialistic, the cost of medical bills is a very real concern. For this reason alone, many parents decide to choose immunization over leaving their children exposed to potential health risks. When you have the basic information for both sides of the argument laid out in front of you, it can be much easier to make a decision and figure out where you stand on the issue of autism versus immunization. Do you believe the countless parents who claim that there is a connection between the two, or do you prefer to stick to immunizing your children against the very real threat of measles and mumps, and take your chances otherwise? When it comes down to it, the choice is completely up to you. Do not let other parents try to convince you to take their side on the matter if you feel like they are wrong, but also do not ignore the evidence that exists to support the argument. In the end, the medical field is still more or less divided on the topic, and may continue to disagree for a long time coming. It is in your best interest as a parent, to consider the pros and cons of immunizing your children. Do not jump to conclusions based on the first sensational news story you hear – give it careful consideration before you reach your final verdict. You want to do what is best for your children at all times, of course, so try to consider all available information to help you make this important decision. 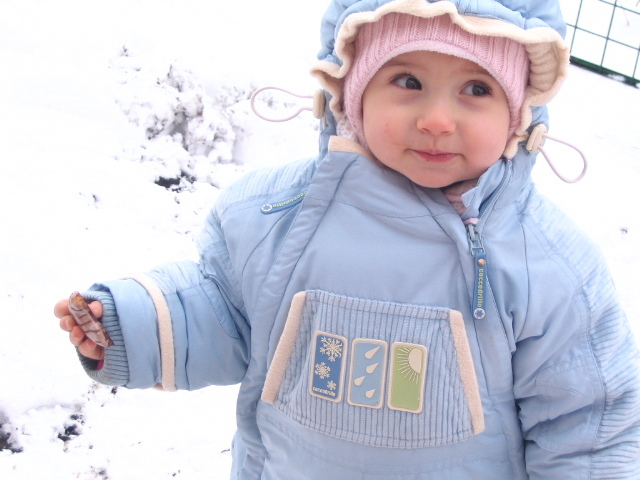 Are Children Conceived in Winter More Likely to Develop Autism? Expecting parents are always concerned with whether or not there is something they can do to ensure the health of their children. Recently, studies have turned toward the subject of autism, and whether or not the time of year when a child is conceived has any effect on its mental health at birth. There is compelling evidence to show that babies conceived in the winter may in fact be more likely to develop autism, and if you are trying to conceive, you may want to pay close attention to the recent information that has been discovered on the matter. It is no secret that environment has a lot to do with a baby’s development while still in the womb. According to a California-based study that focused on 7 million birth records in the 1990s and 2000s, wintertime viruses and other illnesses may be a major influence on whether or not a growing baby develops autism. Of course, this could be less of a problem in parts of the world where viruses do not spread as rapidly during the winter due to warmer temperatures, but in the United States, where the study was conducted, this environmental factor did have a pronounced effect on the outcome of the children in question. A lack of vitamin D also prominently raised the chances of autism in wintertime babies. During the winter months, when the sun is less visible and people are less likely to spend time outdoors due to colder temperatures, it is natural that vitamin D deficiency increases. Although quite common, this can be very detrimental to the health of unborn children, and may severely impair their mental growth while still in the womb. Vitamin D deficiency in the children studied also increased as the season wore on. December conceptions led to about an 8% increase in autism, while March conceptions showed up to 16% more cases of autism in the children that were surveyed. All winter months were compared to July conceptions for the purpose of this study. Of course, it is important to judge all studies with a grain of salt. While the study undertaken by the University of California did prove a connection between month of conception and risk of autism, other studies conducted in Japan, Canada, and the United Kingdom have proven that spring is the more likely season to trigger autism. Research in Sweden and Denmark, however, agrees with that of the United States, and these countries have reported March as the highest risk month of conception. Bear in mind that the original United States study might also prove another environmental factor, such as exposures that take place during the second or third trimester, so it is somewhat inconclusive in that regard. When you are trying to conceive, you may be worried about a lot of things, including the risk of autism in your child. Do not let studies scare you, but do take them into consideration and use the information they provide to make your own decisions when it comes to conception. As with anything, it is important to be as informed as possible, and to consider all relevant information.